Vacation rental house. 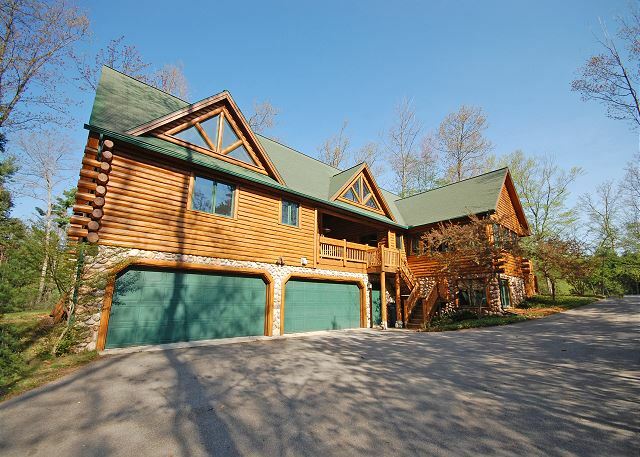 Sleeps 18, 5 bedrooms, 4 bathrooms. No pets allowed. Welcome to Lakewood Lodge, with a large, private yard on a peaceful street, just steps to downtown Glen Arbor! 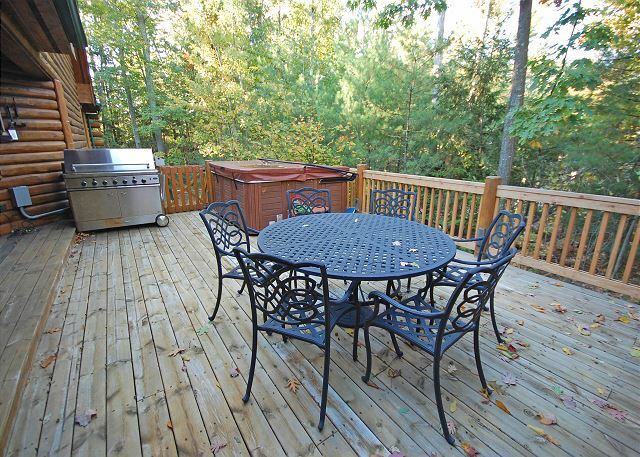 The deck with patio furniture, gas grill, and fire pit. The covered breezeway between the main house and guest house. Welcome to Lakewood Lodge! 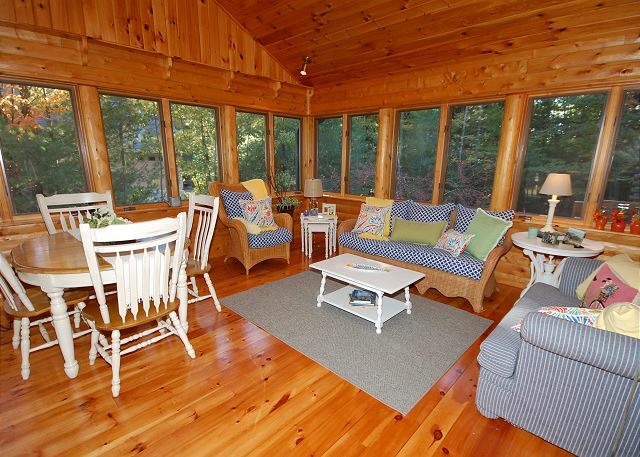 You enter through this lovely sunroom! The main living room and dining room area in the main house. 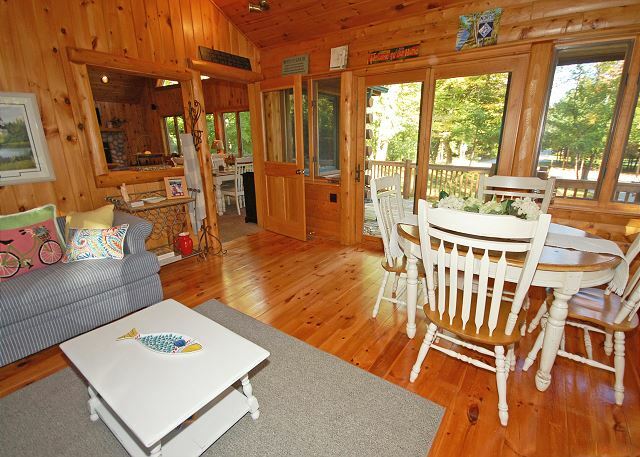 The comfortable living room with gas fireplace! The main floor master in the main house. The main floor master attached bath. The second bedroom on the main floor of the main house, with attached bathroom. The loft area in the main house with two full size futons. The main floor lofted area with two full futons. The laundry room, located in the lower level of the main house. The lower level of the main house with ping pong table. 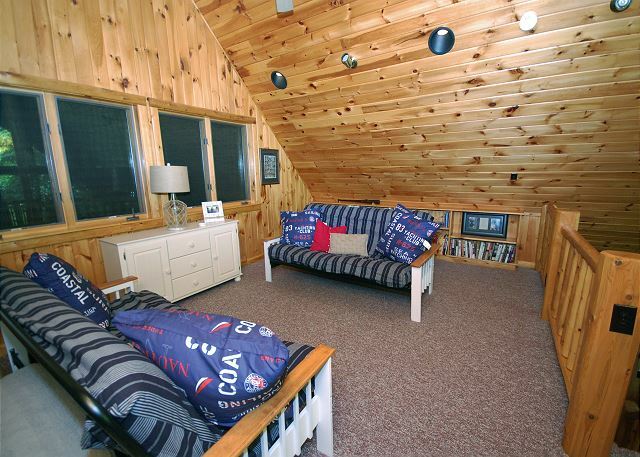 The lower level of the main house, also with a large TV, sectional, and game closet. The bedroom in the lower level of the main house. The bathroom in the lower level of the main house. The main living room/dining/kitchen combo in the guest house. 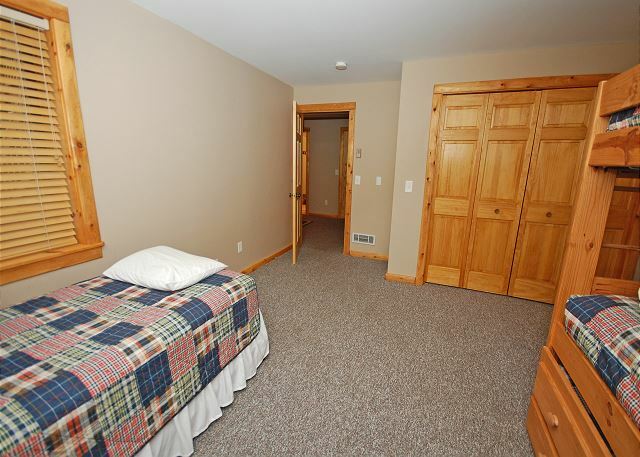 The fourth bedroom, located in the main floor of the guest house. The second bedroom in the guest house. 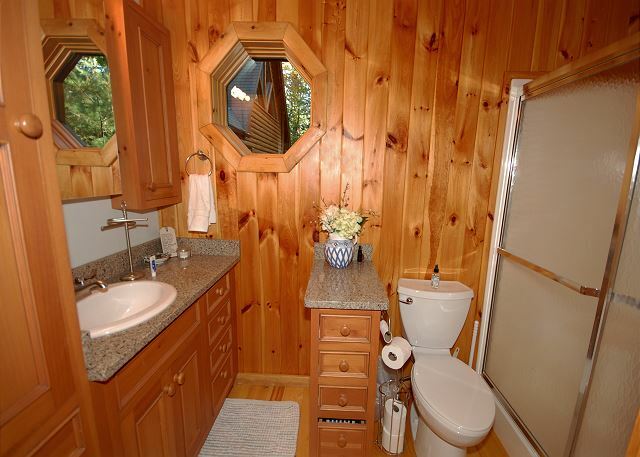 The shared bathroom in the guest house. The lofted space in the guest house with king bed. The sitting area in the guest house loft.